Neutrik is an international corporation with more than 35 years of know-how and experience in the manufacture of innovative electrical and electronic interconnection products and systems. The company was founded in 1975 as a two man operation with the idea to creating innovative products utilizing the latest in mechanical and electronic know-how and creativity. Today we are the world leader in the design, manufacture and marketing of audio, coaxial, power and circular connectors. Our main priority is to be a-step-ahead, i. e. to understand the future market needs before they become obvious and to accommodate demands before they occur. 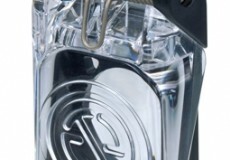 From the beginning Neutrik has concentrated on the development of innovative audio connector products. 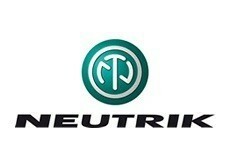 Today Neutrik leads the way in the professional audio market. pending and the many license agreements since our beginning in 1975, evidence Neutrik's innovation and creative achievements. No doubt, our customers have the confidence in having high quality products at an unsurpassed cost/performance ratio whenever they come across Neutrik. Neutrik's strength lies in the ability to anticipate the needs of a dynamic marketplace, fast response through innovative designs, features and benefits based on customer feed-back as well application of state-of-the-art production technologies. Neutrik is committed to excellence in innovation, total quality based on ISO 9001-2008, reliable customer relationship and effective marketing. Neutrik USA, the leading supplier of robust and reliable professional connectivity solutions for audio, video, and data, announces its right-angle etherCON Cat 5e feedthrough connectors. 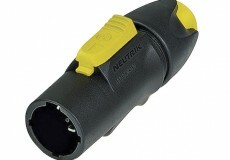 Neutrik announces new SCCD-W cover for PowerCON series connectors.